HomeBuying GuidesWhat is a Coorie? What is a Coorie Carrier? 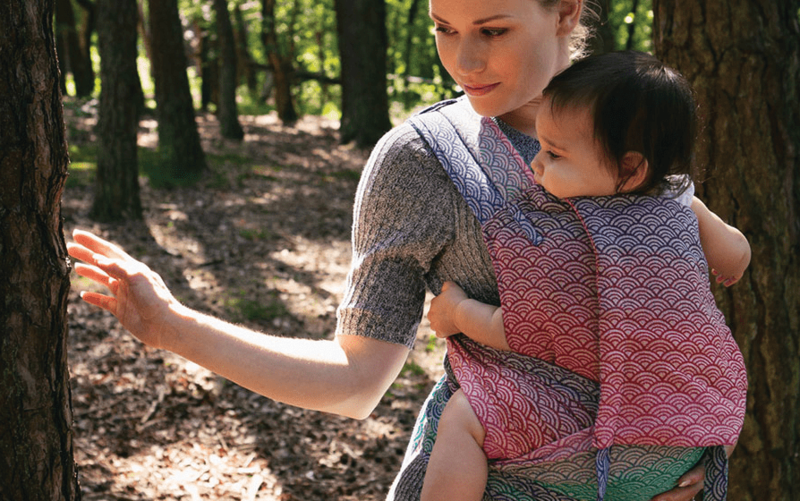 carriers, it’s quick and easy to carry your child on your front or back. Our Coorie carrier is an elegant hybrid between a woven wrap & a carrier, the wide flowing straps allow you to use the same fancy finishes we all love from woven wraps, while the ring fastening on the waist makes the Coorie infinitely adjustable, with a stylish swishy tail. Intricately and carefully constructed our Coorie carriers take our skilled machinists almost a whole day to make. The Oscha Coorie has been approved by the International Hip Dysplasia Institute as a ‘Hip Healthy’ product, this means it will hold your child in the ‘M’ position which is optimum for hip development. 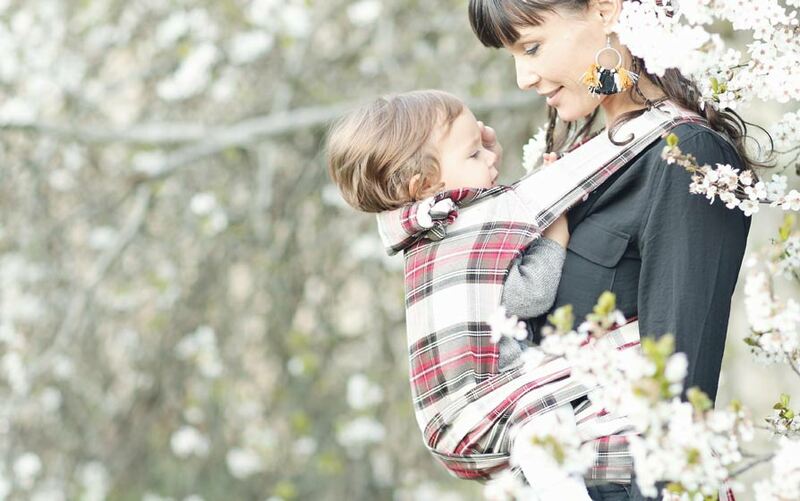 The Coorie baby carrier is available in two sizes, each with unique features to suit your child as they grow. The baby Coorie is suitable for carrying a baby weighing 15lbs all the way up to 45lbs, however, at around 30 months old the toddler Coorie becomes more comfortable. The toddler Coorie is suitable from 25lbs to 45lbs, and features 'legs out padding' on the longer body panel to prevent digging for older children. Why Choose a Coorie Carrier? The waist is crafted from a full-wrap-width band of fabric (approx. 60cm), tailored into intricate pleats. This provides comfort, prevents digging and gives a flattering silhouette. Secured by sling rings, the waist can be adjusted both along the length and also across the width for optimum support & comfort. 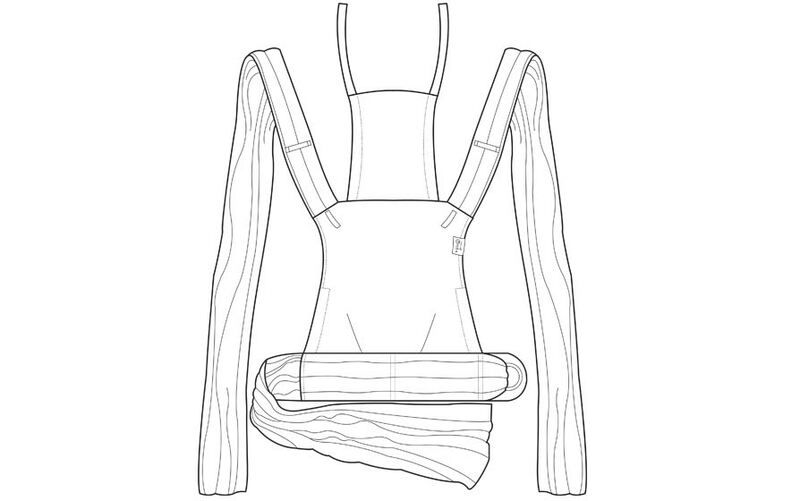 With a little padding on the shoulder straps, the pleat work gives a neat yet mouldable cushioning to your shoulder. The straps, flare out to half-wrap-width (approx 30cm), allowing you to spread the fabric out under your child to increase support. Oscha carriers are made from the highest quality yarns, but as with any jacquard woven textiles, a little bit of care is required to keep your Coorie happy. Spot clean your Oscha carrier and hang to dry where possible. Carriers have many benefits when used correctly, so follow our simple safety guide to get the most out of your Coorie. Always make sure your baby's well supported in the sling without allowing their chin to rest on their chest. Learn more about carrying safely.